The UHD Alliance and the Blu-ray Disc Association were at the 2019 CES in Las Vegas to tout the success of the 4K Ultra HD format and new promotional efforts. The UHD Alliance currently has 43 members — comprised of electronics manufacturers, film and television studios, content distributors, and technology companies — with such companies as Charter Communications and Google joining last year to better understand how to deliver high dynamic range (HDR) content, said UHDA president Mike Fidler. “Google of course brought out the Pixel 3 and that is a certified Mobile HDR Premium product,” he said. The group also continues to certify products as Ultra HD Premium, with 46 new products added in 2018 to bring the total to 63 products (TVs, computer monitors, mobile devices and Ultra HD Blu-ray Players) and 10 companies offering certified products. The UHDA has also offered new broadcast recommendations to facilitate broadcast of Ultra HD Premium certified content. The group continues to educate at such events as IFA, the 4K Summit, MWC, CEDIA and, of course, CES. “We’re out at trade shows on an ongoing basis,” Fidler said. Its educational website, ExperienceUHD.com, which launched in 2017, has been upgraded in the past year. It offers “how to” home theater set up information; educational information on HDR, 4K resolution, wider color spectrum, color bit depth and immersive audio; and social media links. Its biggest reach is with Millennials and Generation Z, according to Fidler. Educational information on interoperability of different products went up on the site in October 2018. “We are spending considerable resources,” Fidler said, to identify interoperability problems and offer steps on the website to fix them. The UHDA buys product at retail to test. For instance, the website shows consumers how to set up TVs with screen shots of menus. Sometime in the first quarter, the UHDA plans to put test patterns on the sight to help consumers see if they are getting true HDR. The UHDA collaborated with Amazon on a section of the online behemoth’s site — which also offers a link to ExperienceUHD.com — to better educate consumers about the format. That product launched in August 2018. “Other retailers have gotten in touch with us recently [about helping with sites],” Fidler said. The group also unveiled a dynamic typograph asset at CES (developed in collaboration with the Digital Entertainment Group Europe), available for retailers and partners. The UHDA is expanding its efforts into Europe, especially Germany, France and the United Kingdom, Fidler said. Actor Tom Cruise’s recent Twitter missive about motion smoothing was inspired by the survey, Fidler said. Meanwhile, the 4K UHD market continues to grow with all 55-inch and larger panels available in UHD only and 100% of 50-inch and larger TV shipments expected to be in the format by the end of this year, according to IHS Markit data cited by the UHDA. 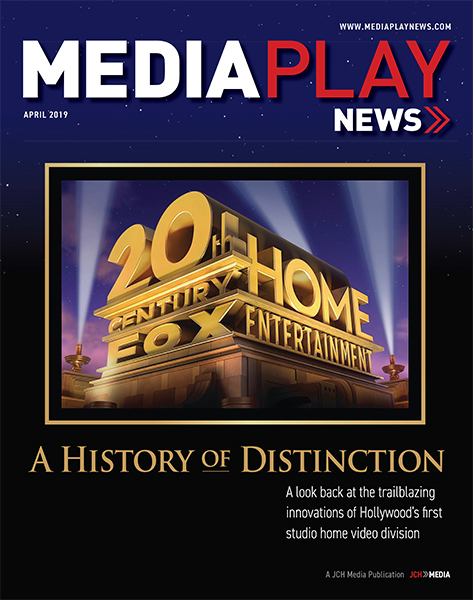 On the content side, the Blu-ray Disc Association (BDA) noted that Ultra HD Blu-ray, both hardware and software, experiencing approximately 40% and 60% growth, respectively, in 2018, with catalog, local/regional and episodic TV titles increasingly joining new release theatricals on the format. Standalone Ultra HD Blu-ray player sales for 2018 are expected to surpass 2017 by 44%, and growth of another 30% is anticipated for 2019, according to Futuresource data cited by the BDA. Meanwhile, 15% of all Blu-ray players shipped worldwide in 2018 are expected to be Ultra HD Blu-ray, with 25% projected in 2019 (excluding Xbox One sales), according to data cited by the BDA. The worldwide UHD Blu-ray player installed base is expected to reach 4.5 million by the end of 2018. As of December 2018, there were 29 4K UHD BD player models and 11 4K UHD recorder/player models for a total of 40, according to the BDA. 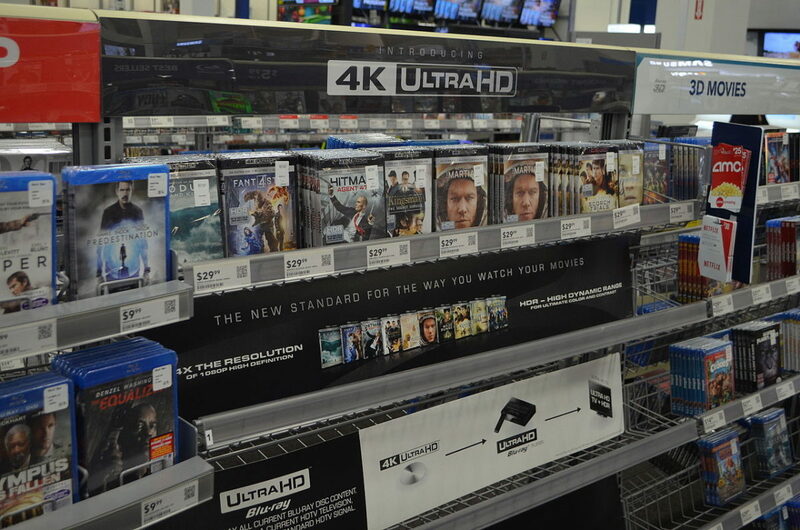 Global 4K Ultra HD Blu-ray sales continue to grow steadily, with an 83% increase in 2018 vs. 2017, and a further growth of 45% forecast for 2019, according to the BDA. Ultra HD Blu-rays are expected to account for 11% of Blu-rays sold worldwide in 2018, rising to 22% by 2020 and 40% by 2022, according to the BDA. BDA president Victor Matsuda was especially impressed with Lionsgate’s decision to release Twilight, which skews to a younger audience, on 4K UHD Blu-ray. “Recognizing the business possibilities in reissuing that type of title was really encouraging,” he said. With streaming 4K UHD still dependent on the pipeline to the home (Netflix recommends 25Mbps for 4K), the fact that most users’ service is less robust makes the physical disc more compelling, he said. Only 21% in the U.S. manage to meet the Netflix standard, while such European countries as Germany, France and the United Kingdom manage even less of a percentage. To tout the benefits of 4K UHD Blu-ray, the BDA also unveiled a sizzle reel at CES for members. LAS VEGAS — The blu-ray disc market has a new star, 4K Ultra HD. “Hollywood really got behind the format last year,” said Sony’s Victor Matsuda, chair of the Blu-ray Disc Association’s global promotions committee, during the Consumer Electronics Show. “Everybody says the same thing, sales are a very pleasant surprise,” he said. UHD blu-ray disc sales increased eightfold from 2016, according to the BDA. In addition, the number of titles more than doubled in 2017, with many studios releasing catalog as well as new releases on the new format, Matsuda noted. There are currently more than 250 titles in the market. Sony, Universal and Warner in supporting 4K UHD blu-ray, announcing the release of megahit Guardians of the Galaxy, Vol. 2 on 4K UHD blu-ray. “That fact that they chose the biggest movie of the year prior to Star Wars was a testament to the format,” Matsuda said. Announcing it with the stars of the movie at Comic-con also was a great show of support for the format, as has been support from other talent such as Galaxy director James Gunn and acclaimed director Christopher Nolan, Matsuda noted, adding Nolan’s Dunkirk is being sent out to Oscar voters on 4K UHD BD. In other positive news, 4K Ultra HD player sales were up 133% in 2017, and the number of manufacturers and number of products doubled last year from 2016. LG, Microsoft, Oppo, Panasonic, Philips, Samsung, Sony and Cambridge Audio all produce 4K UHD blu-ray players, some of which were highlighted at CES. Most of these manufacturers are coming out with a full line, Matsuda noted. “The key driver is sales of 4K TVs,” he said. Nearly one-third of households globally are anticipated to have 4K UHD TVs by 2021, according to FutureSource data cited by the BDA. More than half of U.S. and Western European households are anticipated to have the new TVs by 2021, Matsuda noted. Streaming services that support 4K UHD include Amazon Video, Netflix, GooglePlay, Vudu, FandangoNow and iTunes. Streaming devices that support the format include Roku 4, Amazon Fire, NVIDIA Shield, Chromecast Ultra and Apple TV. Still, Matsuda pointed out that to stream in 4K UHD with high dynamic range (HDR), Netflix recommends a consistent minimum download speed of at least 25 megabits per second. In the U.S., only 21% of users enjoy such speeds, with such developed markets as France, Germany and the United Kingdom at adoption percentages lower than that, noted Matsuda. That doesn’t even account for drains on speed such as multiple users streaming at the same time, he added. Thus, the blu-ray disc is still the most convenient way to get top-quality 4K UHD with HDR content, he said. “With our best of quality proposition, we can take a share of that pie,” he said. With the expansion of HDR technologies, the BDA’s new spec (V3.2) accommodates Dolby Vision, HDR10+ (which garnered support from Fox and Warner at the show and it backed by Samsung) and Philips/Technicolor’s SL-HDR2. Supporting any of these HDR technologies is optional for both player and content. The BDA also approved a new UHD BD recording format spec for Japan. The importance of HDR to the consumer experience and potential consumer confusion about it have prompted the BDA to step up consumer outreach. Consumer awareness of 4K is fairly high, especially in the United States at 75%, the BDA noted, citing FutureSource research. U.S. awareness of HDR (44%) lags significantly. The awareness gap exists in other markets as well. To educate consumers about HDR, which is actually “the key consumer benefit,” Matsuda noted, the BDA has created a brochure, a website and educational videos, among other materials, that can be utilized by consumers, manufacturers and retailers. The educational videos are available on the BDA’s website and on YouTube. The Blu-ray Disc Association (BDA) Jan. 8 said it has begun licensing of the latest Blu-ray Disc format expansion. As of Jan. 1, companies can license specifications for next-generation broadcast recordable Blu-ray Disc format, which allows consumers in the Japanese market to record, view and archive Ultra HD broadcast content on new BD-RE XL media, as well as on legacy BD-R and BD-RE discs. “Blu-ray Disc’s large data capacity has made it a top choice for archiving personal video content,” the trade group says. In Japan, where there are three times more Blu-ray recorders in homes than there are players, it’s widely used for recording and archiving broadcast content. According to JEITA, more than 2 million Blu-ray recorders were shipped in 2016 and a similar number is forecasted for 2017, while approximately 600,000 Blu-ray players were shipped during the same years. The new BD-RE-XL discs will allow for more than two hours of recording, even in the case of 100Mbps AV streams. 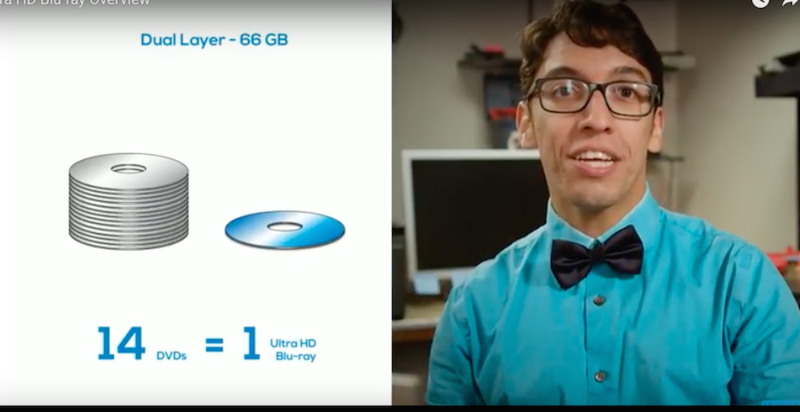 “And as has always been the case, Ultra HD Blu-ray recorders are required to play current Blu-ray, BD-R and BD-RE discs, meaning that consumers can continue to enjoy their existing recorded content collections as well as the vast 10,000+ title Blu-ray Disc library and the continually growing catalog of Ultra HD Blu-ray Discs,” the BDA says. 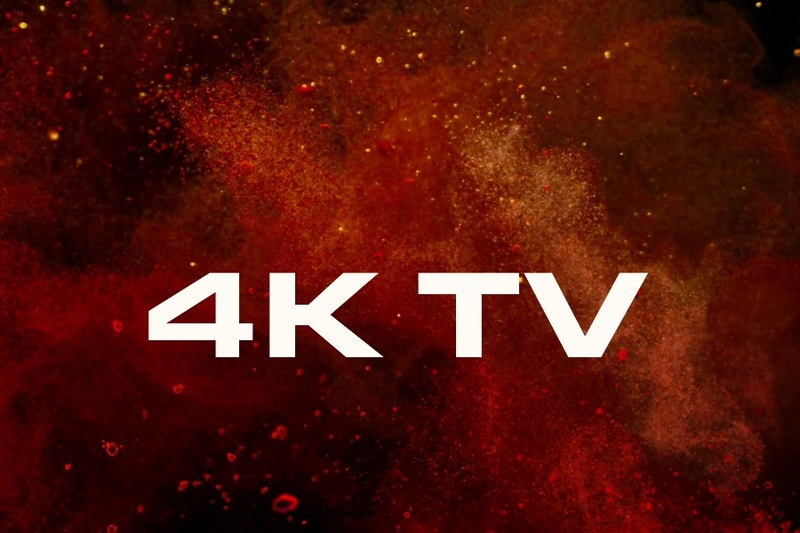 The BDA also is launching a series of videos to help consumers better understand 4K UHD. All five videos have been uploaded to the BDA’s website and YouTube channel and are now live.